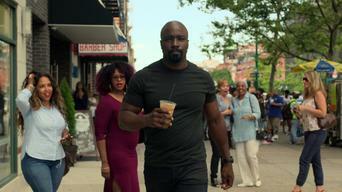 How to watch Marvel's Luke Cage: Season 2 (2018) on Netflix Denmark! 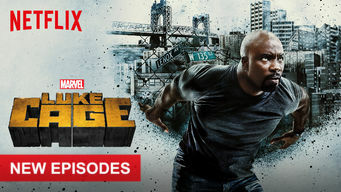 Yes, Marvel's Luke Cage: Season 2 is now available on Danish Netflix. It arrived for online streaming on June 22, 2018. We'll keep checking Netflix Denmark for Marvel's Luke Cage: Season 2, and this page will be updated with any changes. 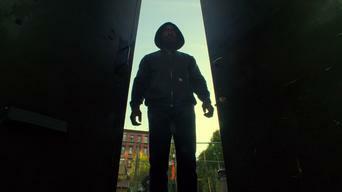 A hoodie-wearing, unbreakable ex-con fights to clear his name and save his neighborhood. He wasn't looking for a fight, but the people need a hero. Bulletproof. A quiet, yet powerful defender of a place he loves. He'll fight corruption, gangsters and his own demons. 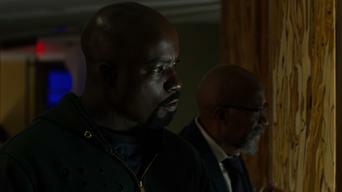 Season 1 of Marvel's Luke Cage has 13 episodes. Because different Netflix countries have different availability for episodes, you'll need to check the episode listing below to see which are available in Denmark. In the aftermath of a chaotic event at a favorite Harlem hangout, Luke heeds the call to action -- and hits Cottonmouth where he'll feel it most. Cottonmouth strikes back at Luke by taking his vengeance out on the people of Harlem, while detectives Knight and Scarfe face an unexpected threat. After Cottonmouth and Scarfe's bloody clash, Luke realizes that saving the community may turn former allies into enemies, and enemies into allies. 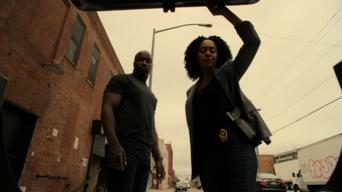 Mariah campaigns to turn the city and the police against Luke, and not even Misty or Claire may be able to save him. 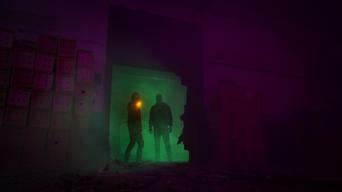 With Luke wounded and on the run, Misty faces a soul-searching interrogation. Mariah's rise to power takes a dark turn. Luke gets closer to the truth about Reva and her part in his fate, while Mariah wrestles with the morality of her new role. Misty hunts for Luke. In one bold move, a friend from his past puts Luke on the defensive, Misty in dire straits, and Harlem's safety in jeopardy. Misty digs deeper for the truth as the neighborhood's power players throw the city into confusion. 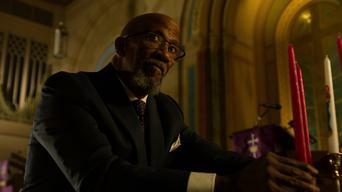 With all of Harlem bearing witness, Luke takes on the fight of his life in hopes of emerging as the defender his city needs. 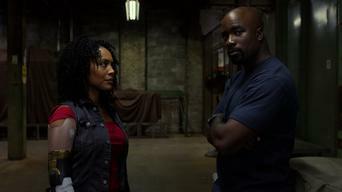 Season 2 of Marvel's Luke Cage has 13 episodes. Because different Netflix countries have different availability for episodes, you'll need to check the episode listing below to see which are available in Denmark. Luke tests out his abilities on the ballfield, Misty ruffles feathers at the precinct, and Mariah plans a reunion to boost her image. Worried Luke is headed down a dark path, Claire pays a visit to his father. Bushmaster makes a bid for Mariah's guns. 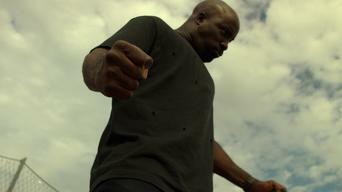 As footage of his fight with Bushmaster goes viral, Luke struggles with the aftereffects and follows a trail of clues to Tilda's shop. Desperate to drum up quick cash for a lawsuit, Luke weighs an offer from a superfan. Mariah invites Tilda to join the new family business. As a wave of violence rocks Harlem, everyone races to connect the dots between Piranha, Mariah, Bushmaster and the grisly find at the clinic. Reeling from the showdown on the bridge, Luke teams up with Misty to find Piranha. The hunt for the snitch heats up. 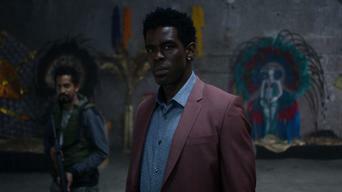 Bushmaster reveals his endgame. While Shades, Mariah and Misty come to terms with the previous night's events, Bushmaster searches for a way to boost his strength. Shaken by Mariah's latest act, Luke combs the city for a witness. Flashbacks reveal a fateful encounter between the Stokes and McIver families. Luke teams up with an unlikely ally to combat a new strain of heroin. As Shades plows ahead with his plan, a massive party draws everyone to the club. Mariah adapts to her new circumstances and goes to extremes to cover her tracks. Luke takes a new approach to protecting Harlem.